All the turn signal lights will flash. To turn them off, press the switch once again. 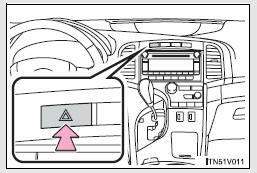 If the emergency flashers are used for a long time while the engine is not operating, the battery may discharge.